Ariocarpus retusus is one of the largest and fastest-growing species of the genus known for its slow growth. The stem is grey or blue-green, flattened, globose, rounded on top, up to 5 inches (12.5 cm) tall and up to 10 inches (25 cm) in diameter. 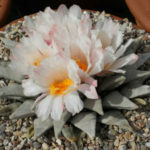 Despite its slow growth, often taking 10 years to reach flowering age, it is a desirable cactus for cultivation, having attractive flowers and an interesting form. The flowers are white to pink, occasionally with reddish midribs and up to 2 inches (5 cm) in diameter. USDA hardiness zones 9b to 11b: from 25 °F (−3.9 °C) to 50 °F (+10 °C). 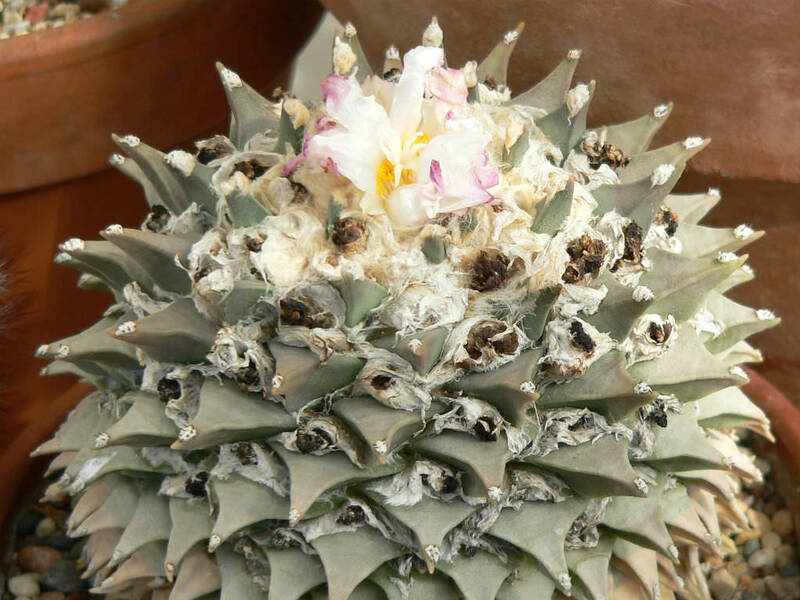 You should plant your Ariocarpus in soil specifically formulated for cacti. You can buy cactus mix at your local nursery. Do not use generic soil mixes, because they will not provide enough aeration and drainage. Additionally, using a container without a hole, whether it is a pot or a terrarium, is a bad idea for the same reason. 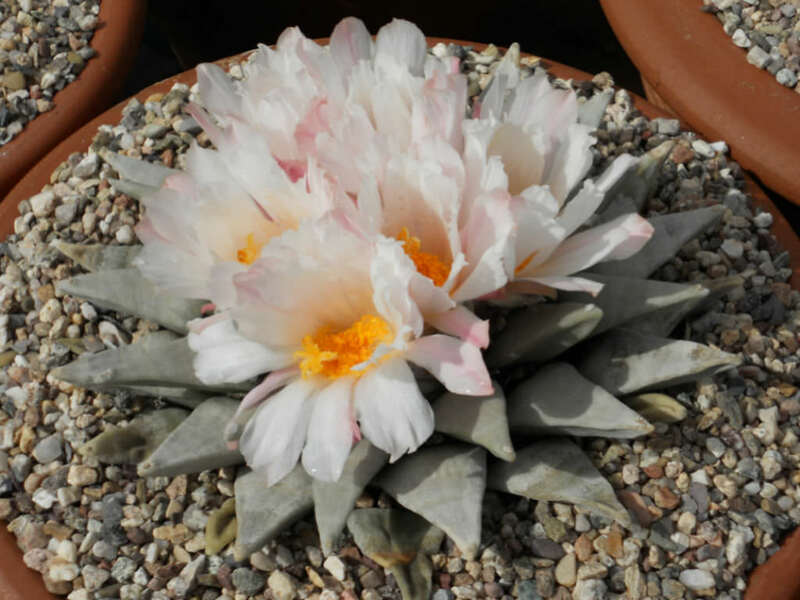 Ariocarpus need a lot of sun. However, in hot, dry areas, they can be damaged by excessive sunlight, so you should either use a shadecloth to limit their sun or move them out of the sun during the hottest hours of the day. In more temperate areas, direct sunlight is fine. 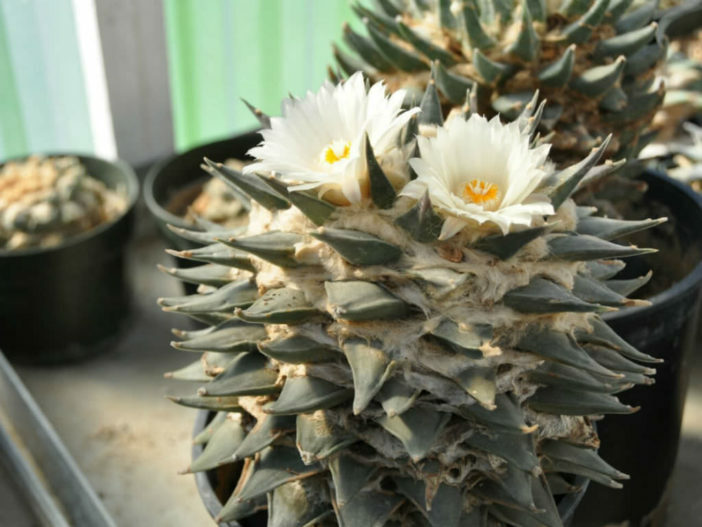 These cacti prefer to be kept at room temperature or slightly lower, and in low humidity. 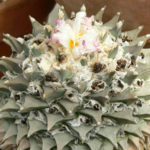 Ariocarpus retusus is found mainly in Mexico.